Collect the best content from the social web. 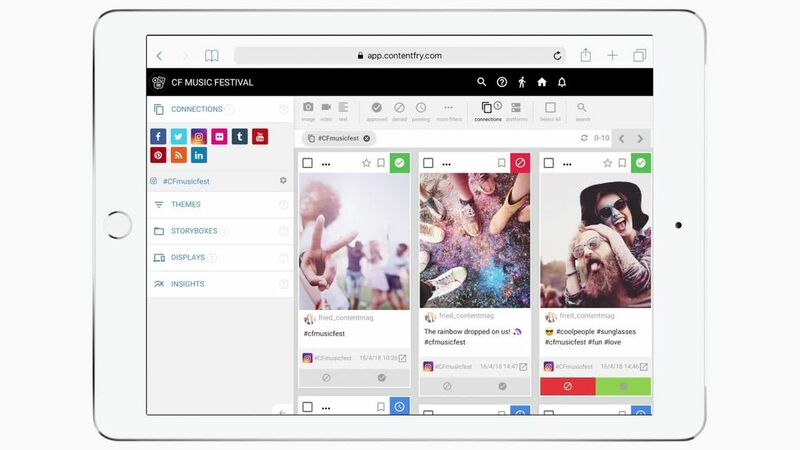 Use contentfry to aggregate photos, videos and posts from social media. Be it content from your community or from your own channels; based on a hashtag, geolocation, account or RSS feed. * We are currently integrating further networks. Get in touch. Thanks to the moderation tool you have full control over the content on your channels. For each connection you can decide individually if posts should be displayed straight away or if you would like to revise them beforehand. Display content, hide it or have it evaluated again—all with one click. The moderation is easy and can also be done on the go. Different roles allow for an efficient collaboration in the team. Show the content on an app, website or big screen using a design that complements your brand. contentfry allows you to group posts automatically or manually. In this way you can embed user photos on the corresponding product sites of your website. Or you can sort the content of a social hub according to the user’s interests. Chose one of our ready-made templates and personalize it with only a few clicks. Change the header, colors, fonts and much more to make it suit your brand. Or you can choose to create your own social hub from scratch. contentfry’s API gives you endless possibilities. 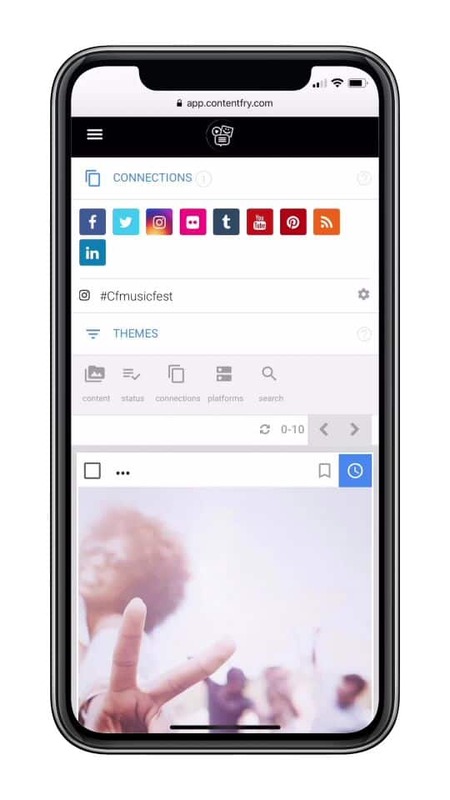 Use contentfry and your social content will look great everywhere: on smartphones, tablets, desktops and big event screens. Measure the success of your communication. Review, evaluate, learn. Analyze the success of your communication and get to know your community better. 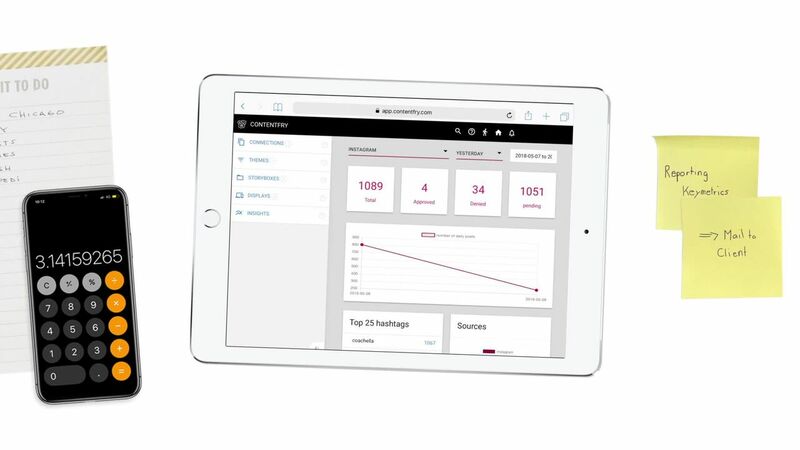 The Insights offered by contentfry inform you about how often a hashtag has been used, which platform your customers prefer, or how your campaign has developed over a specific time period. Interested? Give it a try yourself!